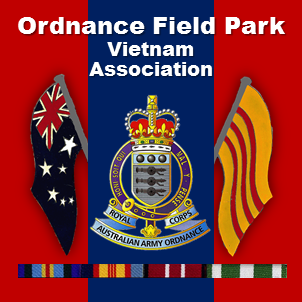 Ordnance Field Park Vietnam Assn. – "Vietnam Veterans – Proud to have Served"
in Vietnam between 1966 and 1972. Our site is dedicated to the Families of all the guys who served with the unit in Vietnam for they too have had to live with the aftermath of this conflict. We are proud to advise that this site has been electronically archived by the Australian National Library’s PANDORA (Preserving and Accessing Networked Documentary Resources in Australia) project as “an online publication of national significance”. Clicking on the PANDORA logo above will take you to the OFP Vietnam Archived site.